At this time, I was absolutely drunk with love for God. The only thing that mattered to me was God and I was willing to give up anything to reach him. Although in my young mind, God was a great desire, I really did not know what it was that I was searching for, but the vague feeling of separation was acutely present. 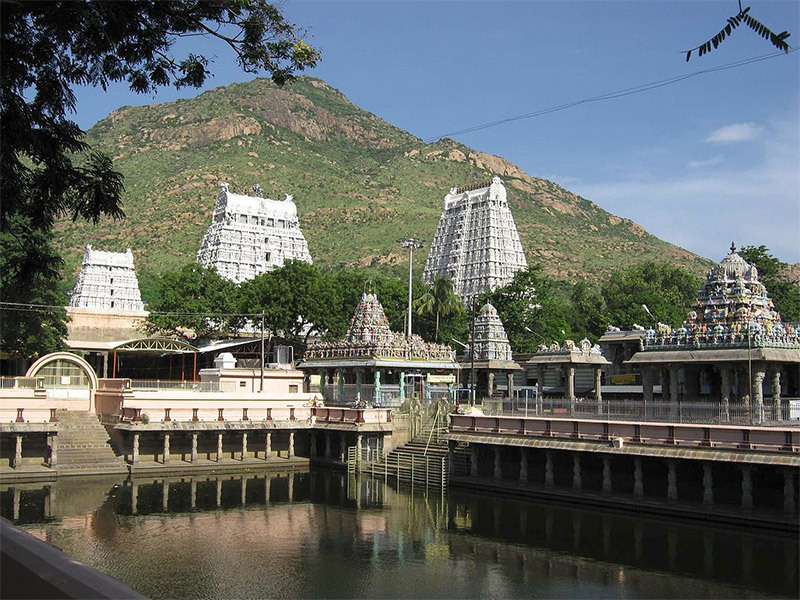 My guru was traveling with a retinue of people to Tiruvannamalai – the abode of Arunachala – on a full moon day. It was a general custom in our group to go every full moon day to Arunachala and go around the holy hill. It was an extremely enjoyable time for me as I was totally in love with Lord Shiva and consider him my “Father”. Every trip around the mountain used to and still takes me several notches higher in consciousness and fills my heart with bliss. Just a day before we were scheduled to leave, I finished shopping for a few personal needs that I would use on my trip and returned home. While parking my two-wheeler, I absentmindedly forgot to engage the stand properly and subsequently dropped the two-wheeler on my leg. The hot silencer burned through my right foot and left it in a mess – burnt and inflamed. With a swollen leg it was next to impossible to walk 15 kilometers bare foot around the hill and would not only put my body through great pain, but could also inconvenience the entire group. I was shattered. Not only was I going to miss the chance to travel with my Guru, but was also going to miss the chance to go around Arunachala – the love of my life. At that moment, I made a resolution to make the trip come what may and decided to tell people that I would take my time to complete the trip and would find my way back home. They could come back without me. I tied a bandage tightly around my leg, packed my bags and landed up at my Guru’s House in the morning. I begged him to let me come, but his advice was not to strain my leg and he would not let me come. Instead, he asked me to go to the Kapaleeshwara temple at Mylapore and pray there. Crest fallen at the lost opportunity, but left with no choice, I tearfully saw them off and made my way to the Kapaleeshwara temple and was slowly limping my way around the temple. There I saw an old woman, who I presumed to be a beggar since she asked me for some money. When I gave her a few coins from my pocket, she intently gazed on my leg and told me in a commanding tone “Put your feet firmly on the ground”. While it was strange that a beggar lady should address me thus, I did not make much of it and actually planted my feet firmly on the ground and started to walk. After a few steps, I suddenly realized that the pain was reducing rapidly and the swelling was gone. I hastily retraced my steps to thank the old lady and ask her how this was possible, but she was gone. Where she was seated was just no one, just cold stone, but In the sanctum sanctorum Mother’s eyes were no more of stone, but sparkling. It was then that I realized what my guru had been telling me all along, God does appear to us. He still does perform miracles, but it is just that we do not realize that we have been blessed. We expect God to come to us with a conch in hand or with a trident In hand, but fail to understand that god operates through us, through fellow humans and when he does come to visit, our conditioning makes us miss it. Soon after this incident, my faith in god grew steadily and my guru gifted me a spate of spiritual experiences. My preferred method of communication with him was to ask him questions in my mind and just keep quiet. The answers arrived either in his speech or through circumstances. While I was enjoying myself, HE was silently preparing me for the next stage of my evolution. What we know as ourselves is more often than not the body-mind complex, which manifests as the Ego. This sense of “Me” and “Mine” is what causes desire, attachment, enjoyment and suffering. Unless these barriers are broken down, we continue to associate with thoughts & actions, continue celebrating birth & condemning death, inviting pleasure & rejecting pain, desiring good & repulsing bad. I was a good student at school and made excellent grades. In fact I had an acute interest in science, especially biology and delighted in literature and theater. But once my mind was filled with the desire for God, all else took a back seat. I was meditating regularly and reading all books on philosophy and god that I could get. I realized that god was a greater addiction than anything I knew then. As a result my grades collapsed. And so did my desire to continue in Samsara. I went to seek permission from my Guru to take sannyasa and tread the path of renunciation. As far as I was concerned, I was finished with the world and assumed I could escape the cycle by ignoring it. It was at this time, that I received from my Guru probably the most important teaching. He then gave me the highest teaching; of living in the world, yet without it. Like a lotus leaf. Floating on water; yet not getting wet. He asked me to study, to work, to remain in the family. But at the same time pin my self on to the lotus feet of the Lord. God had many plans for me, many experiences in store, by which I would mature into a full individual with a first hand experience of the world. It was not yet time for the prophesy to pass…..
Makes an interesting reading and feel oneself going through the experiences of the author. It is said that Truth is a pathless land. Everyone’s path to Truth is different unique and individualized. We should chart out our own path. Excellent article! to associate with GOD to unite with GOD but to remain in the sansar…I quote Shri Ramkrishna Paramhansa – You have to purify yourself as a butter…and remain in water, then you will not mixup. But if you remain milk you will mix up with water…. very true ! what you have mentioned is perfect way to connect to God or Your Ishta or Aradhya ! Nothing else ! I feel and apply the same. I am interested to find this perso Bala G to find his guru.Please let me kno if you can. This is the reality of actual Guru and Guru Shishya relation. The real Sanyasi meaning is the Krishna Tattva, being in everything but water is not touching the lotus leaf. Some please help me find more on this gentleman, thanks. Excellent. Article..even. I am. 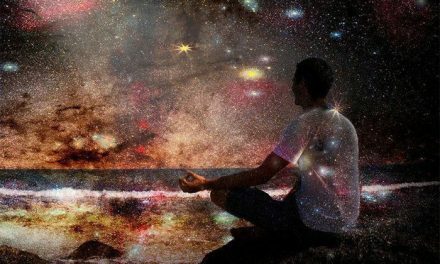 Interested in going into deep meditation….so that we can have glimpse of the universal energy. Or. Cosmic. 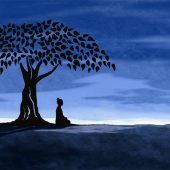 Energy…..
nice and lovrly truth much inspiring for spritual seekar.kindly give details of disciple and guru for further know how.keep the blog continu.thanks a lot. 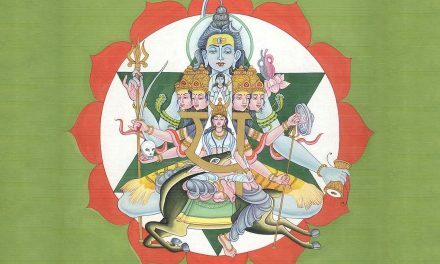 Sometimes, I think, I lost the purpose of being born in the ‘manushaya yoni’. The first & last task for human is to achieve God but we are lost in this world due to lack of knowledge, absence of Guru & our greed. How very true….We expect God to come to us with a conch in hand or with a trident In hand, but fail to understand that god operates through us….HE is very much within us….!!!! Perfect reply from the Guru….. “If it is God you want to think of, why don’t you think of him at home, with the air conditioner on ?” …..” Yes…think of HIM with the air conditioner on….HE has never told you to leave the material world and come searching for HIM…. and when the right time comes….HE will show you the way….God Bless….Hare Krsna…..!!!!! Has HE started talking to you…..thatz the best feeling one can get….!!!! VERY INTERESTING ARTICLE. IT IS A DIRECTION AND GUIDANCE TO THE PEOPLE WHO WANT TO ASSOCIATE WITH THE “GOD”. REAL LIFE EXPERIENCES IN LIFE WILL INCREASE THE TRUST ON GOD MAKES ONE TO BE REAL FOLLOWER TO GOD AND CAN GUIDE THE OTHERS ALSO TO OBSERVE THE SAME TO GET GRACE FROM THE GOD. Blessed are the few who come across such Guru’s and even Blessed is the Guru who come,s across a dedicated Sishya . The Guru-Sishya parampara is unique and native to our country only . Many comments here on Guru quest.But how many are prepared for the spiritual path.A Guru is not a magician to take care of our problems.Nor to confer Enlightenment to all.A true Guru will only give us how much we are capable to receive.So to avoid the Guru Quest and uphold the good values and samskaras should be our aim.The God within us will shine forth,if we diligently practice this.There is a Guru destined for each one of us.It will happen at the right time. intend to find a true guru . where do i find one ?? Yes , to find the absolute truth Guru is needed . But in this age and time it is next to impossibility to find such guru who guides us . We can consider our personal deity as Guru and with utmost faith ask him or her to lead us to that goal .